The food & beverages segment is estimated to grow at the highest CAGR because of multiple applications of microencapsulation in the food industry, where it is used to provide protection and to achieve the desired results of the active ingredients. Some ingredients added for product fortification are encapsulated to mask the odor and taste and to retain the products’ taste. The increasing consumer demand for enhancing shelf-life in functional food products is also driving the food & beverage segment of the microencapsulation market. This report segments the microencapsulation market on the basis of application, technology, core material, shell material, and region. 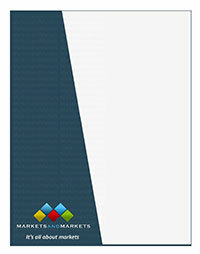 In terms of insights, this research report focuses on various levels of analysis competitive landscape, end-use analysis, and company profiles which together comprise and discuss the basic views on the emerging & high-growth segments of the microencapsulation market, high-growth regions, countries, government initiatives, drivers, restraints, opportunities, and challenges.